Hit a home run with Charlie Brown, Lucy, and the rest of the Peanuts gang as they play baseball in this Level 2 Ready-to-Read! Springtime means it’s baseball season, and Charlie Brown wants this to be the year his team finally wins a game! 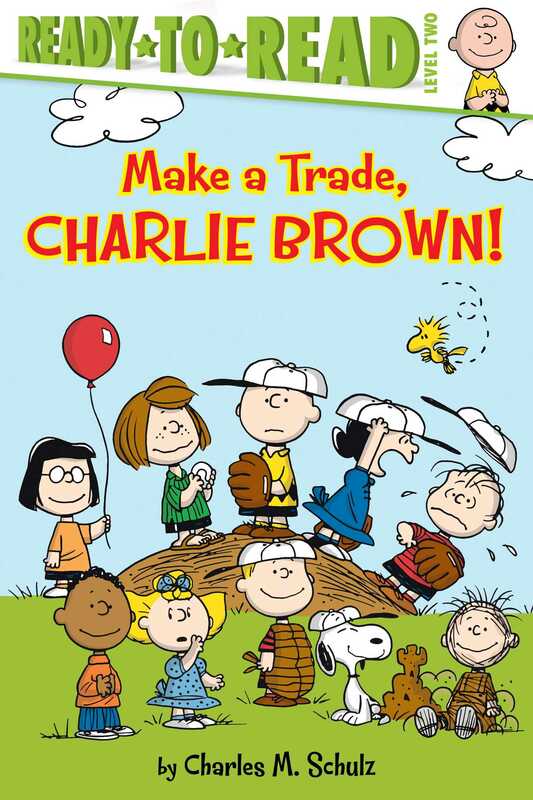 Charlie Brown’s only option is to make some trades to improve his team. He calls Peppermint Patty to make a deal, but she tells him there’s only one player on his team she wants, “the funny-looking little kid with the big nose.” Snoopy! Peppermint Patty offers Charlie Brown five good players for Snoopy. But will Charlie Brown trade his beloved beagle just to win a ball game? Book Cover Image (jpg): Make a Trade, Charlie Brown!